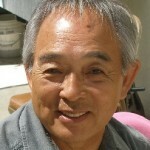 Sawtelle Stories Forum is hosting a talk with John Tateishi, former executive director of the JACL, on Sunday, Dec. 2, from 2 to 4 p.m.
Tateishi grew up in Sawtelle and will share his memories of the historic Japanese American neighborhood in West Los Angeles. He served as chairman of the JACL’s National Redress Committee and as JACL redress director, helping to craft the organization’s legislative and public affairs strategies in the 1980s. He is the author of “And Justice for All,” an oral history of the internment of Japanese Americans, and a contributing author to “Last Witnesses,” a collection of essays by children of the camps. The event will take place at the Japanese Institute of Sawtelle auditorium, 2110 Corinth Ave., Los Angeles (north of Olympic Boulevard and west of Sawtelle Boulevard). Admission is free. Parking is available at JIS as well as adjoining streets and should be ample on Sunday.